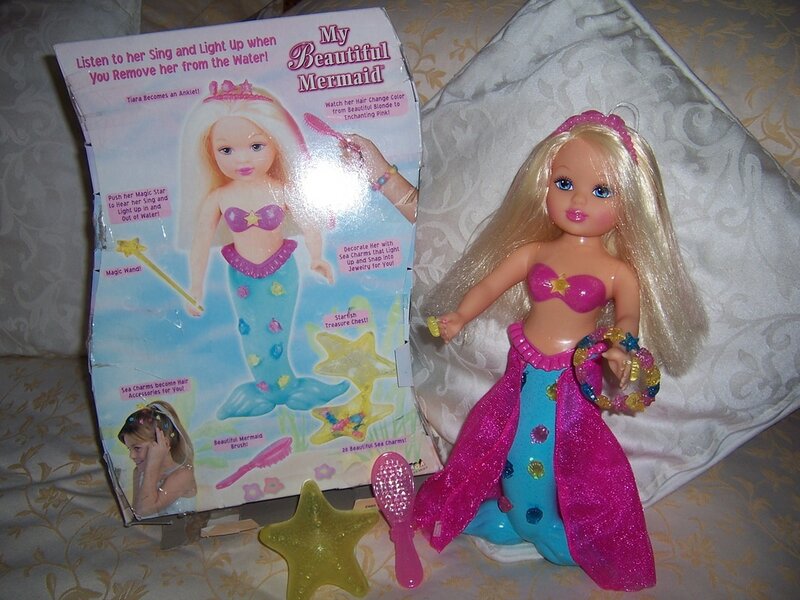 This pretty doll is called ''My Beautiful Mermaid'', and comes in her original box and was produced in 2002. The box says she sings but really she only has a haunting melody come from her and no words are sung. She sings (melody) when her yellow star is pressed on her body which in turn turns on lights on her mermaid fish tail. She has plastic sea charms which fit onto her fish tail and the rest can be clicked together to make a bracelet for yourself. These are all kept in a yellow plastic sea charm container. She takes 3 AAA batteries which will not come with her.